The 2019 Cheltenham Festival begins on Tuesday 12th March at Prestbury Park racecourse. Over the course for the next four days there will be a total of twenty-eight races featuring hundreds of runners. We feature previews of every Cheltenham Festival race, with tips, predictions, odds, trends and free bets. Click on any of the race names to get the latest news for that race, the best predictions, special offers and much more...Make this page your essential reference for this year's Cheltenham Festival. Bet £10 & Get £30 In Free Bets at William Hill! + 15% free bet bonus if your horse wins by 5 lenghts or more! New Customers only. Use Bonus Code C30. Minimum £10 deposit and bet at odds of 1.50 (1/2). £30 is 3 x £10 Free Bets. Expire in 30 days and no stake returned. Full T&Cs apply. 18+|GambleAware. The Cheltenham Festival is UK's biggest horse racing event, alongside the Grand National. It is able to consistently attract some of the top horses in the world, as a result, boasting more than £4 million in prize money. The racing action is four days long, and punters have the opportunity to bet on several high-profile races. The course can expect to welcome over 200,000 racegoers from all over the world, with it believed that more than £500 million will be gambled throughout the week. The Cheltenham Festival was created back in 1860, but it wasn’t until 1902 that it was moved to the newly opened track at Prestbury Park and it’s remained there ever since. Located at Prestbury Park in Gloucestershire, Cheltenham racecourse is the home of National Hunt racing. It consists of two tracks - the Old Course and the New Course. The New Course has an extremely tricky downhill fence and also a much longer run in than the Old Course. Alongside the Old and the New Course, there is also a Cross Country course built inside the main course. DAY 1 kicks off in thrilling fashion with the Supreme Novices Hurdle and features the Champions Hurdle, a fantastic Grade One contest. DAY 2 is highlighted by the Queen Mother Champion Chase, a top-class race surrounded by the three mile RSA Chase and the vastly popular and unusual Cross Country Chase. DAY 3 features the oldest race of the week, the Stayers’ Hurdle, and also features two other prestigious Grade One contests, the JLT Novices Chase and the two-and-a-half mile Ryanair Chase. DAY 4 kicks off with the JCB Triumph Hurdle and features the biggest race of the jumps racing calendar and the most famous prize in the world of National Hunt racing – the Cheltenham Gold Cup. Here at BetAndSkill we'll be providing you with all of the latest Cheltenham recommended bets using our horse racing betting experience and statistics, all to give you the best chance of making a hiuge profit from the highlight of the racing calendar in 2019. Our resident racing tipsters will be covering all the best ante-post tips, betting trends, boomakers' promotions and exclusive betting offers in the run up to the Cheltenham Festival as well as every day during the four days of racing. All the betting tips on our Cheltenham Festival section come from the expert BetAndSkill team of tipsters, who have been analysing horses and the betting markets to help punters like you since 2007. Our Cheltenham tips are completely free and have proven highly profitable over the past years. You can find today's Cheltenham betting tips & predictions here. If you’re searching for all the horseracing free tips for all of today’s races, then look out for the horse racing predictions section or our Horse of The Day post. 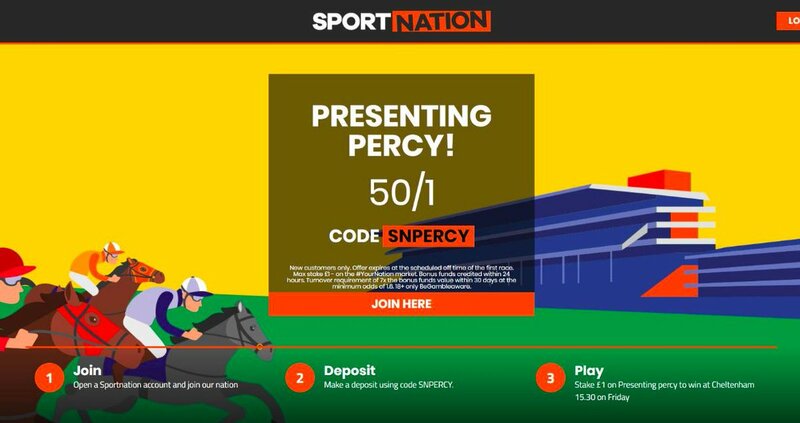 Early in 2019, the top UK online bookmakers started to offer non-runner no bet on all the Cheltenham Festival races, so you can back our Cheltenham tips and be guaranteed for a run or get your money back. 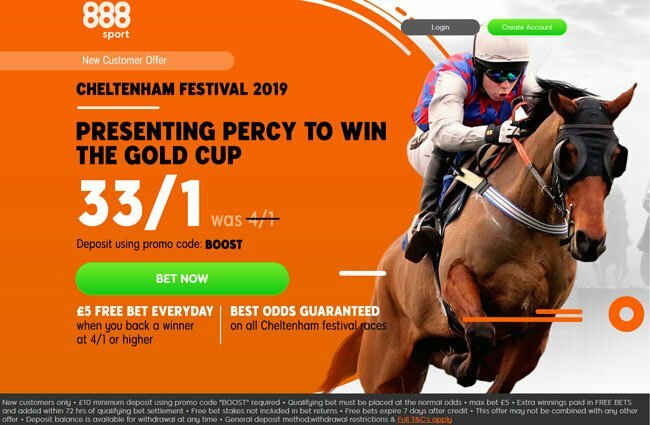 "2019 Cheltenham Festival Betting Tips & Predictions"
Stake £5, Get 4 x £5 Free Bets!